Candy Lake game takes over the Raystown Lake Region Visitors Center! The Huntingdon County Visitors Bureau and Raystown Reflections Gift Shoppe invite you to imagine a world where all of your surroundings are made of candy, cookies and other treats. 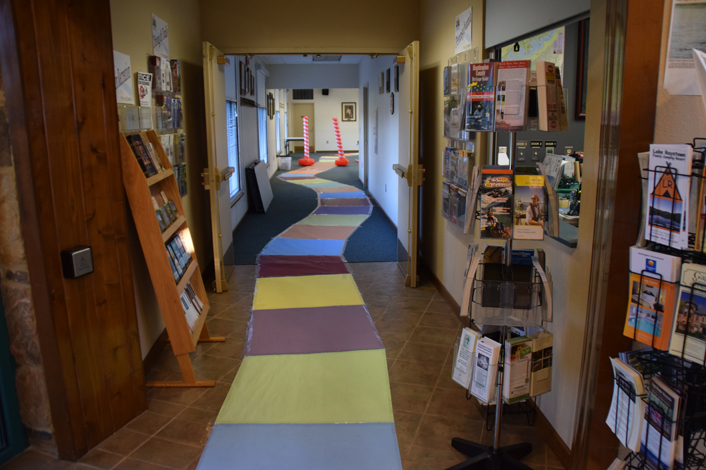 For the week of December 7-13, 2015, the Raystown Lake Region Visitor Center has been transformed into Candy Lake. Inspired by a popular childhood board game, Candy Lake is an imaginary lake featuring islands where the landscape and structures are made of sweet treats. 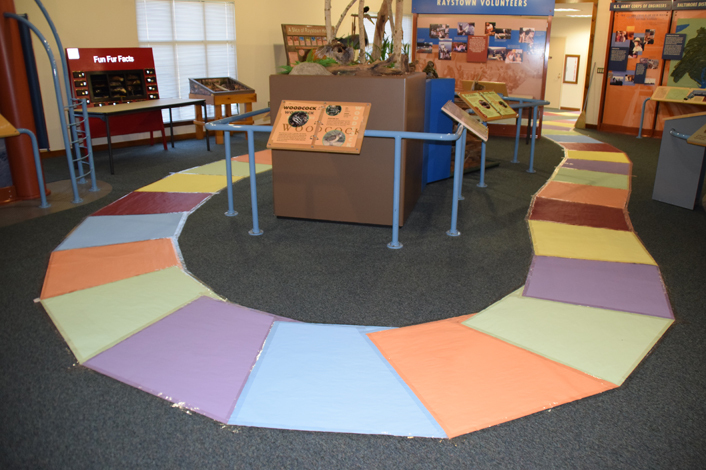 Visitors to Candy Lake follow a colorful path to visit each island display. The islands have been designed by area businesses and organizations along a candy theme. Attendees can choose to play the life-sized game, or simply stroll through the displays on their own. At the end, guests are invited to make a free-will donation to vote for their favorite island. Each organization and business presenting an island has chosen a charity that will benefit from the cash votes, and at the end of the week, the Raystown Reflections Gift Shoppe will match the public contributions to the charity that receives the most. The first 100 children aged 12 and under will receive a stocking and a small toy courtesy of the Raystown Reflections Gift Shoppe and Huntingdon County Visitors Bureau. Participating businesses and organizations include: Rockhill Trolley Museum, Big Brothers/Big Sisters of Huntingdon County, Fairfield Inn and Suites benefiting Habitat for Humanity, Juniata College, Thompson’s Candle Co. benefitting Huntingdon House, Perma-Chink benefiting Habitat for Humanity, Gage Mansion Bed & Breakfast benefiting Huntingdon Landmarks, Standing Stone Coffee Company benefiting St Vincent de Paul and Isett Heritage Museum benefiting Huntingdon House. 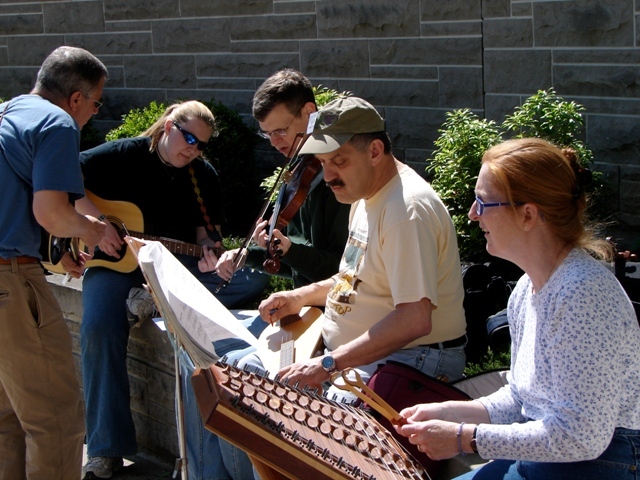 Big HOOPla This Weekend in Huntingdon. On March 2-3, 2012, Juniata College’s Kennedy Sports Complex will be hosting the NCAA Division 3 Women’s Basketball Regional Rounds one and two. The round one match-ups will be on Friday, March 2nd, and feature the Great Lakes Region 6th ranked St. Vincent College Bearcats vs the Atlantic Region 6th ranked York College Spartans at 5:00 pm; and the nationally 15th ranked Juniata College Eagles vs the North Atlantic Conference champion Castleton State College Spartans at 7:30 pm. The winners of Friday’s games will advance to the second round, playing at 7:30 pm on Saturday evening. On March 3-4, 2012 Juniata College’s Kennedy Sports Complex will host the Eastern College Athletic Conference South Region Semifinal and Final Division III Men’s Basketball games. Semifinal match-ups will be played in the afternoon on Saturday, March 3rd. The games will feature the #1 Juniata College Eagles taking on the #4 Alvernia University Crusaders at 1:30 pm, followed by the #2 LaRoche College Redhawks vs the #3 Catholic University Cardinals at 3:30 pm. The winners of the two semifinal games will meet in the South Region Championship on Sunday at 2:00 pm.